Negligent security is not an issue people generally want to consider. Instead, everyone wants to feel safe as they go about their daily lives. Feeling safe generally means believing one is secure at home, work and when visiting stores and businesses as a customer. Many businesses, in an effort to protect employees and the public, employ security systems to keep the premises safe from outside intruders. Even before implementing security measures, all property owners have a legal duty to keep the premises safe from conditions that could injure a visitor or business guest. This includes the duty to warn individuals on the premises about dangerous conditions, performing inspections to identify hazards, and fixing problems within a reasonable period of time. People tend to understand and expect property owners to take responsibility for unsafe conditions on their premises, but what about third parties who enter the property intent on doing harm to others? Does a property owner’s duty extend to this situation? A man paralyzed in 2014, after being shot by a mentally ill man who forced his way into the main library on Florida State University’s (FSU) campus, is asking that question as part of a lawsuit filed against FSU for negligent security. 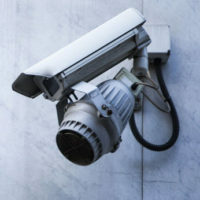 A discussion of what negligent security actually is, as well as when a property owner is legally obligated to use security measures to protect those lawfully on the premises, will follow below. the failure of security guards to make a sufficient number of rounds to monitor the property. One important nuance applicable to negligent security cases to note concerns the potential liability of convenience stores, which are known to attract crime due to their hours and cash on-hand. Such stores are given a limited presumption against liability for third-party injuries to customers if certain security measures are present. Negligent security cases are complex matters that require evaluation by an experienced personal injury attorney to assess whether a legal claim exists. The Miami law firm of Pita Weber Del Prado understands how scary these situations can be, and will take quick and decisive action to get you the compensation you deserve. Contact us for a free consultation.